Work will start today on fifty affordable rented homes in Dunbar that will be built without any government subsidy thanks to a unique finance model developed by East Lothian Council and its partners. 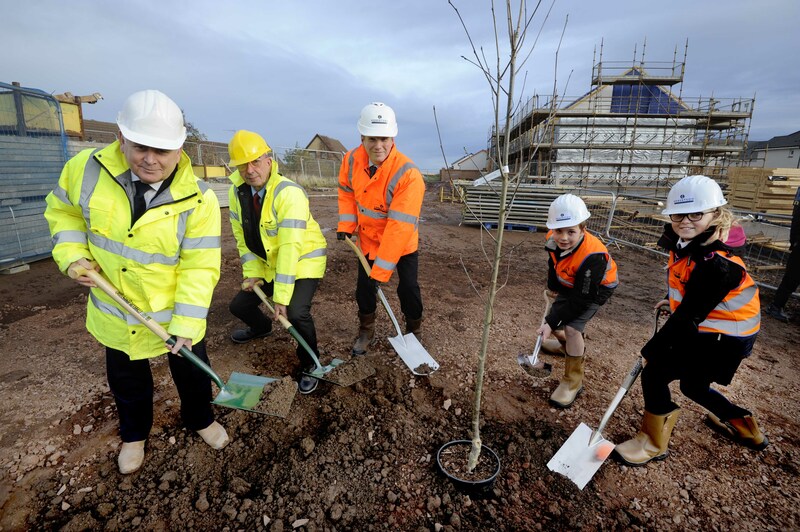 The start of work on the development was marked by breaking ground through the planting of a tree at the site. Robertson Homes is developing and marketing detached homes at Fair Acres in Dunbar. The development includes a Section 75 Planning Agreement with East Lothian Council to provide 60 affordable homes. 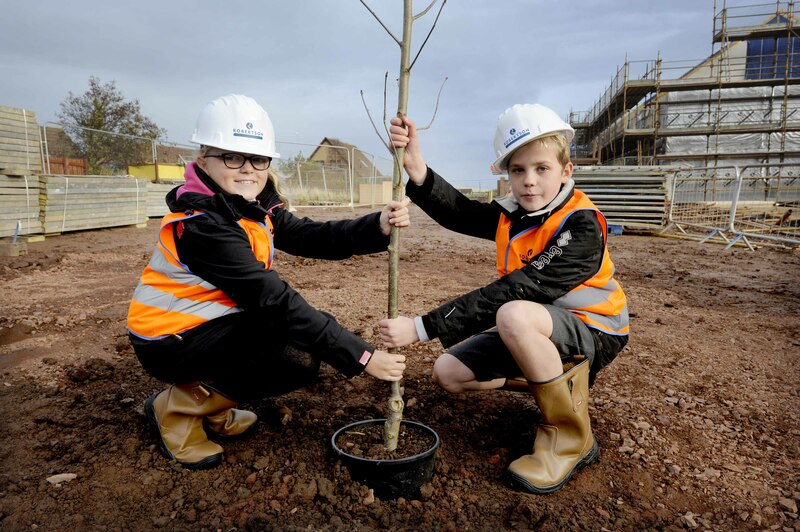 East Lothian Council worked with Robertson Capital Projects (RCP) and RDR to create an innovative delivery and funding mechanism that would allow the homes to be delivered using the council’s long term affordable rental income to underpin a private sector funding solution. The development has been facilitated by the investment by the Coop Pension Fund via their fund managers, PGIM, and their partners 3H York. The Co-op will acquire and hold the 50 mid-market affordable homes as a long-term investment following practical completion and lease the new affordable homes to the council.